Every New Yorker recognizes the long line at Times Square as the TKTS line. TKTS sells extra Broadway show tickets for 20% -50% off the original price. This is a sweet deal for any Broadway show lover who does not mind watching any of the amazing shows playing on that day. Since these are extra tickets, you cannot really choose a seat, you’ll be given what is available. But, there is a good chance for you to grab a great seat too, so it is worth a try. TKTS opens at 10am on Wednesday and Saturdays for matinee shows and 3pm for other shows. Download the TKTS app to check which shows are available. 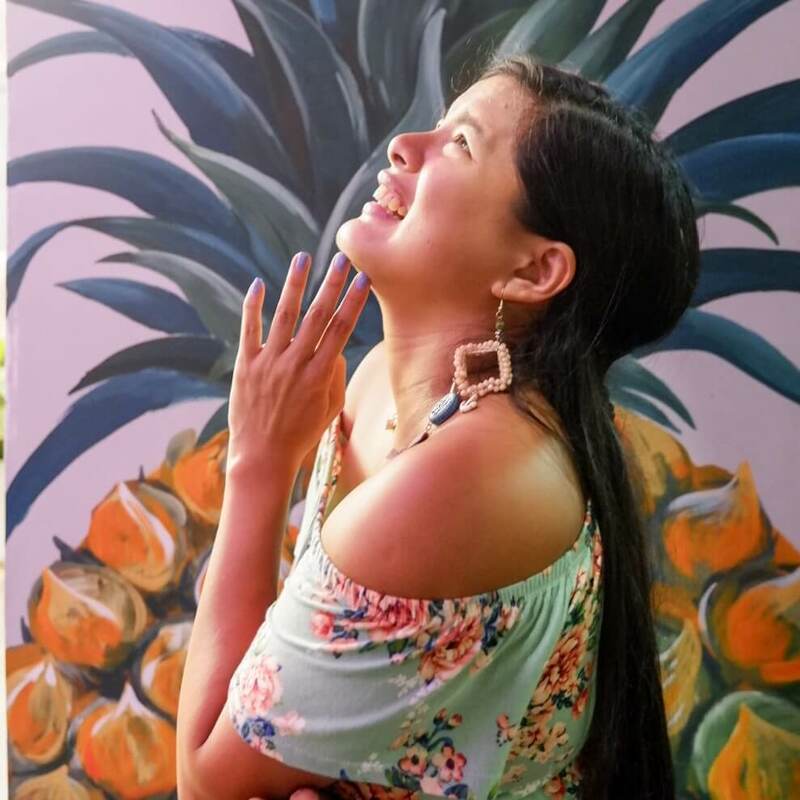 If you find at least three shows you like head to a TKTS booth located at Times Square, South Street Seaport, Downtown Brooklyn and Lincoln Center. Do you have one particular show you’d like to see? You can save money on ticket prices if you know where to find it. Several websites are dedicated for cheaper Broadway tickets but of course, expect some sacrifices on your part. If you are willing to wait for the box office to open at the crack of dawn, then go for Rush tickets. You can get seats anywhere from the front row to the rear mezzanine and enjoy the show playing today. Not a morning person? Maybe you’ll have a better chance for SRO tickets. Although there are only a number of spots available behind the orchestra, one ticket per spot. I’ve tried this before for a $27 ticket to the “Book of Mormon” which I found out using the Playbill website. Want to sit instead? Grab an onstage seat. Shows like “Spring Awakening” and “Xanadu” cut ticket prices for side or rear view seats near the stage. One drawback, some scenes may be obscured from view. You can also visit the production’s own website for ticket discounts. It may be a good idea to visit broadwayforbrokepeople.com to see a list of all Broadway shows, when and where it is playing plus a list of available discounts. Click on the link found in the website and a popup window will display details of the discount and where to avail it. There are also websites that offer discounts on tickets by giving you promotional codes. You can use these promo codes when you buy tickets online via Ticketmaster or Telecharge. Want a bit more savings? Buy the ticket at the theater and use the same promo code. This way, you do not need to pay the extra fees charged for online ticket sales. You can find promo codes from BroadwayBox, TheaterMania and also on Playbill. For additional discounts, consider becoming a member of the Theater Development Fund. Members can enjoy advance tickets for less than $35 (not for all shows) and you do not need to wait in line. Annual membership fee is $27.50. Visit their website to check if you are eligible. Discounted tickets are offered for different age groups in several theater places. Students may get tickets as low as $20. Kids and senior citizens may get discounts so bring your family along. If you really want to watch a Broadway show, forget regret, search for the cheapest ticket and go defy gravity. Great tips on getting a good ticket at a great price! Great tips. I only knew about the TKTS. Great way to buy cheap theatre tickets. You are so close to the truth that anybody would love to experience watching any show on Broadway! I would love to experience Broadway soon too, its on my bucketlist. Any show would do as long as Im on Broadway. Good to hear its the same in London. I will be going next year, I can maybe watch the other shows there. As a New Yorker I would say great tips! I also love when they have there bi yearly deals on tickets. Sometimes hard to get. I know someone who wins the lottery for pretty much every show. Really useful tips. It is good to see there are cheaper options to get Broadway tickets. Great tips! We have the same system in London and we’ve got some brilliant on the day seats from the booths in Leicester Square. It’s getting better in Aus too – but with no where near the options for discount tickets you have in NYC! Thanks for the tips! I once got great value tickets for Mamma Mia using TKTS. What a great show! Cheap or not, the shows are really good! I remember spending quite a lot to see one without knowing about these alternatives. I’ll keep these in mind for the future. Even though I lived in NY for over a year, I never attended a Broadway show because they are so expensive. I didn’t know there were ways to get such discounted tickets. $27 for the Book of Mormon is incredible! I’ll definitely have to check out a few of these tips and websites before the next time I go to NY for a visit! I agree Meg, student discounts really help you save a lot. Great tips. We love TKTS and go there as soon as we get in to NYC to plan our shows. I have never heard about this app but it sounds great. This is super helpful for people looking to get a deal on a Broadway ticket. I did a theatre criticism course in London and got to see loads of plays, but I’ve kind of fallen off track lately. Next time I’m in New York, I’ll book a ticket for sure. I didn’t realize there were so many options to get cheaper tickets at the last minute. I think SRO tickets would be the best option for me. Thanks! 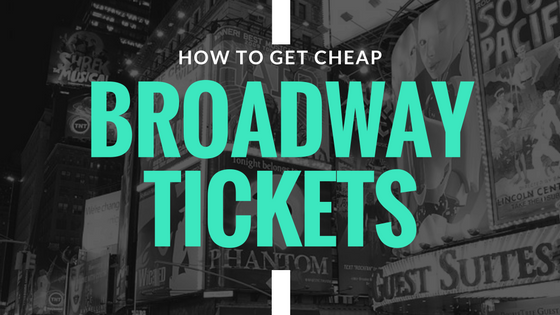 We missed Broadway last time we were there because of the exorbitant prices, but this post of yours is so useful! Will make a note of this for future reference. I literally went for a broadway marathon/ “splurge” but then again when the price is right, who wouldn’t? Awesome tips. I usually let my cousin and aunt find cheap tickets for us. Heading to New York for Easter and New Years. I will use your advice. I’m glad to be able to help. It’s a really good way to get cheap and decent tickets. Shopping online at websites dedicated to cheaper tickets makes a lot of sense! Even if the selection is limited, I’m sure it would be worth it to save money, or potentially to get tickets to a show that is already listed as sold out. The same concept probably applies to other types of concerts, and even sporting events as well.